Fill up the entry form online. 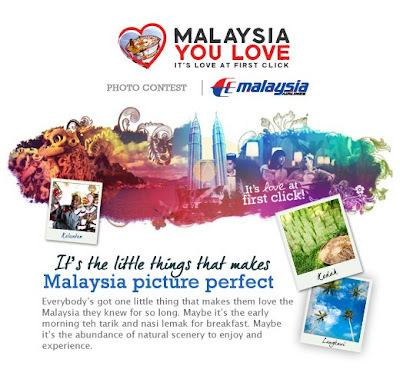 Upload an photo that best represents what Malaysia means to you together with an accompanying story with a minimum of 20 words and a maximum of 30 words. Get your friends to "like" the photo. Visit Malaysia Airlines Facebook fan page for more detail. See how many Malaysians like Nasi Lemak?